Nutrients are broken down and converted into energy for normal metabolic function. Energy metabolism is generally divided into two types, aerobic and anaerobic. In aerobic metabolism, oxygen is used to produce energy, with carbon dioxide and water as a by-product. However, 1-2 percent of this oxygen is not used, resulting in the formation of free radicals, or reactive oxygen species (ROS). These free radicals can damage DNA and lipids and contribute to degenerative changes throughout the body. Antioxidants are responsible for removing and inhibiting the formation of ROS. Nutrients are broken down and converted into energy for normal metabolic function. Energy metabolism is generally divided into two types, aerobic and anaerobic. In aerobic metabolism, oxygen is used to produce energy with carbon dioxide and water as a by-product. However 1-2% of the oxygen is not used and results in the formation of free radicals or reactive oxygen species (ROS). These free radicals, or ROS, can damage DNA and lipids and contribute to degenerative changes throughout the body. Antioxidants are responsible for the removal of ROS as well as inhibiting formation of ROS. During periods of stress, such as exercise, the rate of oxidation is higher because the body needs to produce energy by rapidly breaking down nutrients (such as protein, carbohydrates and fat). Natural antioxidant defenses (endogenous antioxidants) help prevent free radical-induced damage. However, after strenuous exercise, free radical production may overwhelm the system, and oxidative stress (an imbalance of free radical production and antioxidant defenses) can occur. Oxidant damage can be reduced through supplementation with natural exogenous antioxidants. Natural antioxidants can be divided into enzymatic and non-enzymatic. Superoxide dismutase and glutathione peroxidase are examples of enzymatic antioxidants. They’re responsible for converting ROS to hydrogen peroxide and water. Selenium is also considered a member of the enzymatic antioxidant family, as it’s an integral part of glutathione peroxidase. Non-enzymatic antioxidants include vitamin E, vitamin C and lipoic acid. Vitamin E blocks ROS attacks on cell membrane fatty acids and the formation of lipid peroxides. Vitamin E also works in tandem with selenium to decrease oxidative damage to cells. When selenium is deficient, a reduced amount of glutathione peroxidase is formed, and the vitamin E requirement is increased. It’s important to note that all horses are subject to oxidative stress. As a horse’s workload increases, dietary energy must be increased to maintain weight and body condition, thus increasing free radicals and the need for vitamin E and selenium. Increased activity or workload can increase the formation of free radicals. Dietary ingredients may also influence the antioxidant requirement (i.e., an increased need for vitamin E in high-fat diets). Superoxide dismutase and glutathione peroxidase are important elements of the antioxidant system.Selenium is an integral component of glutathione peroxidase. 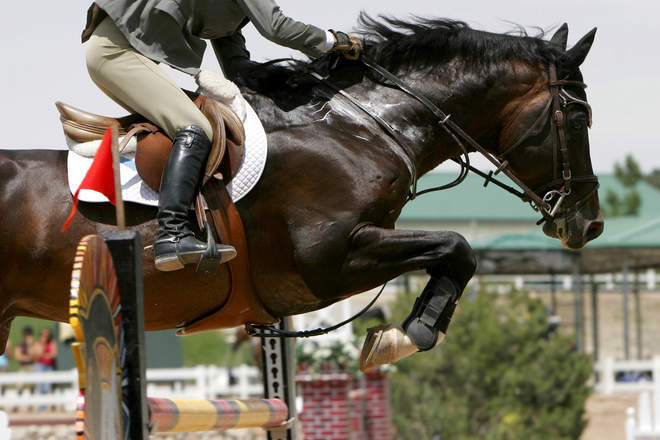 Vita Flex understands the importance of keeping your performance horse in top competitive form. Removing free radicals that have formed in the horse’s body and preventing more from forming is an important part of keeping horses in peak condition. Vita Flex Nutrition has the right products to win the fight against free radicals. The selenium found in Vita Flex® E & Selenium is an important component of glutathione peroxidase, which protects horses against oxidative stress. Vita Flex also carries non-enzymatic antioxidants that help fight free radicals, including Pure C™, a vitamin C supplement, E-5000™ for vitamin E, and Lactanase® formulation, which contains lipoic acid.